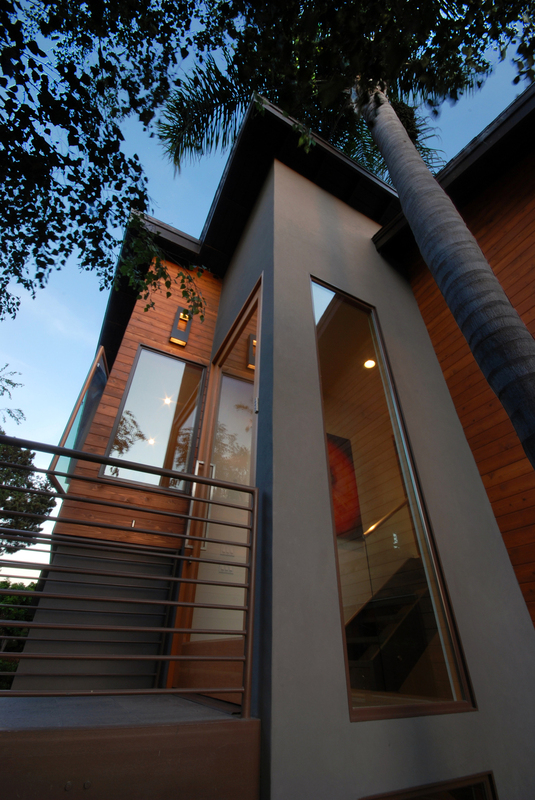 This house design is a refined beach home with a view of the ocean at Torrey Pines State Beach. We renovated the entire house, expanded the dining area, created a large deck at the second floor, and used an open spiral staircase with a 270 degree view deck above. We emphasized sustainability and modern materials throughout the design process and the owners have gone to great lengths to take advantage of every opportunity towards a more sustainable home and lifestyle. This project used materials to emphasize the modern lines of the home and expand the living space in a way that the addition is seamless.